Patients expect their medical needs to be met, but they want to be treated with dignity and respect while they are receiving care. There is a substantial body of research showing that factors other than clinical and medical treatment impact health and hospital outcomes. These factors, not surprisingly, include the interpersonal effectiveness of physicians in their interactions with patients, caregivers, and members of the healthcare team such as other doctors, nurses and support staff. It is documented in the research that there are real benefits in how doctors interact with patients, how they communicate, how they show empathy, and how they lead their team. Patient satisfaction has become an increasingly key issue for healthcare providers and hospital leaders alike. 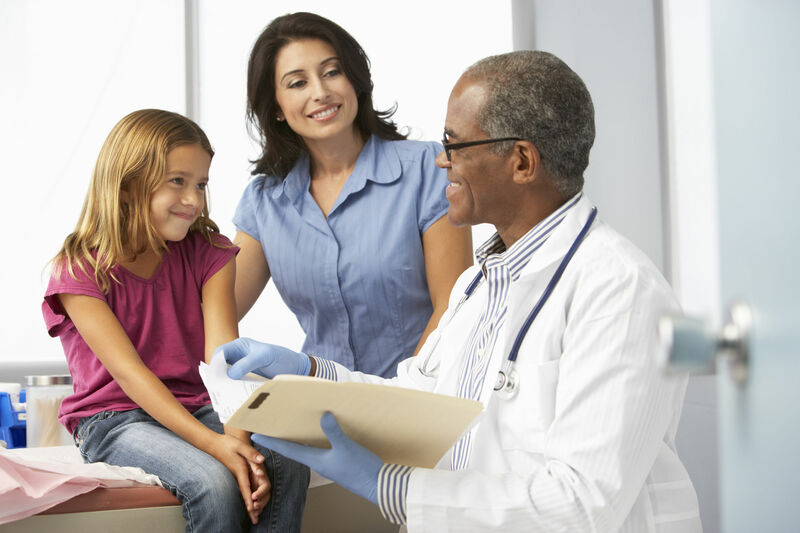 A major driving force for this is the release of the Hospital Consumer Assessment of Healthcare Providers and Systems (HCAHPS), a patient satisfaction survey required for all US hospitals by the Centers for Medicare and Medicaid Services (CMS). The survey scores patient satisfaction as a basis for which to reward hospitals or withhold financial reimbursement. Research reveals that patient satisfaction hinges on doctors’ ability to establish a good rapport with patients, particularly during direct contact with one another. This increasing desire for a positive personal experience by the patient puts great demands on the interpersonal skills of physicians. The Javelin interpersonal skills training, Accelerate-MD, focuses on developing the communication, empathy, leadership and inter-professional skills of physicians. Like a clinical simulation, our approach allows physicians to practice the use of interpersonal skills in a variety of real world situations and to then receive feedback on how they managed the interpersonal aspect of those interactions. This feedback is specific, objective and based on observed behaviors, not impressions or opinions. The feedback is presented in a manner that provides clear insights as to how to improve their interpersonal skills as they relate to their interactions with patients, family members, caregivers and other members of the medical team. Our approach combines proven adult learning techniques with a propriety, user-friendly technology platform that makes improving interpersonal skills faster, more effective, easier and more likely to be applied in a clinical setting, not just the training setting. Accelerate-MD develops interpersonal skills by immersing physicians in a variety of challenging, real world encounters. 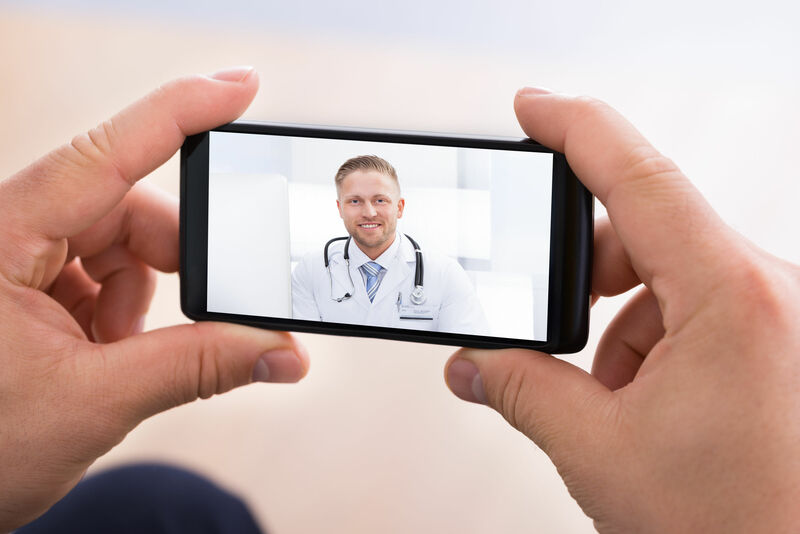 Physicians simply log in on any internet connected device at their convenience. They watch “real-life”, on-the-job video scenarios and using their webcam, record their video responses a) to what they observed the physician doing well/not well, and b) they are inserted into the situation so they can respond as the physician in that exact scenario. It’s not enough to just comment on what the physician observed in others, our technology allows us to insert the physician into the scenario to practice their skills. 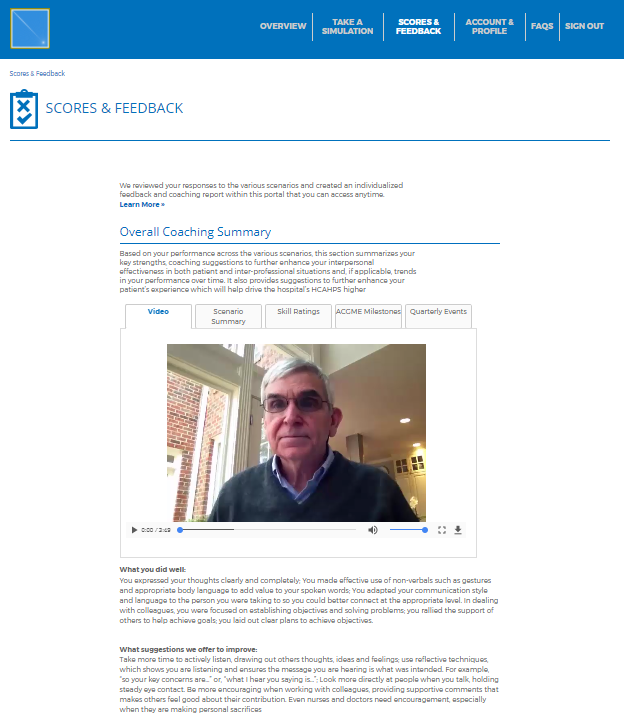 The physician’s video responses are then independently scored by Javelin’s certified assessors utilizing behaviorally based scoring checklists developed by our behavioral scientists in conjunction with subject matter experts (SME). 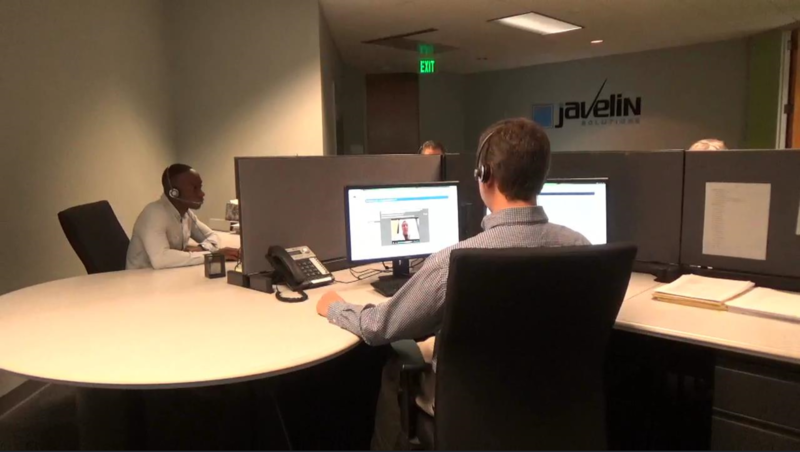 Systematic calibration, ongoing quality assurance and high inter-rater reliability underpin the Javelin way.